Benchmark indices closed lower for the first time in last 10 consecutive sessions, dragged by banks. However, the upside in ITC capped losses. 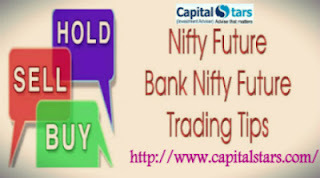 The 30-share BSE Sensex was down 63.38 points at 34,331.68 and the 50-share NSE Nifty fell 22.50 points to 10,526.20. ITC and Wipro were biggest gainers. 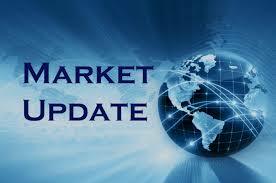 Axis Bank, Tech Mahindra, Lupin, M&M, Titan Company and IndusInd Bank were down between 1 percent and 2.5 percent. Godrej Consumer Products, Godrej Industries, Bombay Burmah, Kaya, Jaiprakash Associates, Parag Milk Foods, Mishra Dhatu, Delta Corp, Dabur India, V-Guard Industries, Indian Hotels, EIH Associated Hotels and Amara Raja Batteries gained up to 9 percent. Kamat Hotels, Jet Airways, Andhra Bank, Bank of Baroda, Jaypee Infratech, Bhushan Steel, OBC, Balrampur Chini, Alok Industries fell up to 5 percent. 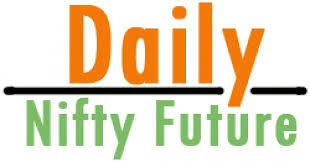 The crucial resistance for Nifty spot is now seen at 10590 and above this 10645. Support for the immediate term is now placed at 10450 next support will be 10300. 1. INDIAN EQUITY BENCHMARK rebounded in late trades on Friday to end at their highest levels in eight weeks, amid firm global cues, led by engineering major L&T and renewed buying interest in financials. In the broader market, BSE MidCap index gained 0.4% while SmallCap ended flat with positive bias. 2. Nestle India rose 5.59% after the company said that tests in three separate laboratories conclude that Maggi Noodles are safe for consumption. 1. Asian shares rose after upbeat U.S. price and jobless claims data eased recent concerns over the U.S. economy, but trading activity was subdued as investors looked ahead to more catalysts. 2. European shares extended the previous session's rally on Friday, tracking strong gains on Wall Street and in Asia, as some U.S. data releases eased concerns about the pace of recovery in the world's biggest economy. 3. U.S. stock index futures poised for a lower opening at the Wall Street on Friday. Intense volatility we have seen today, but 1 best strategy buy on dips as we have already stated. Buy above 8200 we may see some good levels in coming days. Pharma, telecom stocks and index heavyweights ITC, Reliance Industries and HDFC led gains for key benchmark indices. Benchmark indices surged towards the fag end of the trading session after moving in a narrow range during most part of the trading session. The upmove for key indices in late trade materialised as European stocks reversed initial losses and trading in US index futures indicated a firm opening of US stocks later in the global day. European stocks reversed initial losses after a Greek newspaper reported that last-minute efforts aimed at bringing Greece and its creditors back to the negotiating table are underway. Negotiations between Greece and its creditors collapsed over the weekend after Greece's Prime Minister Alexis Tsipras on Friday, 26 June 2015, unexpectedly called for a referendum on whether to accept reform measures demanded by the country's lenders. 1. Bharti Airtel edged higher after the company said that it has become the third largest mobile operator in the world in terms of subscribers. IT shares were mixed. Tech Mahindra extended a steep slide registered during the previous trading session that was triggered by the company issuing a warning that the company's Q1 June 2015 results have some headwinds and tailwinds which could see a risk of marginal decline in both revenue and EBITDA (earnings before interest, taxation, depreciation and amortization) margin of the company on sequential basis. 2. Coal India rose 3.10% at Rs 421 after a foreign brokerage reportedly maintained its 'overweight' outlook on the stock. The foreign brokerage is reportedly convinced about Coal India's volume growth and pricing power and expects 31% compounded annual growth rate (CAGR) in earnings before interest, depreciation, taxation and amortization (EBITDA) over FY 2015-18. 1. Meanwhile, Greece is reportedly reconsidering an offer put forth by European Commission President Jean-Claude Juncker yesterday, 29 June 2015. Greek Prime Minister Alexis Tsipras was urged to reconsider Juncker's proposal by some members of his government, the report said. The country is under pressure as it faces a Tuesday deadline for a $1.72 billion repayment to the International Monetary Fund and the expiry of its bailout program the same day. 2. Meanwhile, the India Meteorological Department (IMD) said in its daily monsoon update issued yesterday, 29 June 2015, that the Southwest Monsoon was vigorous over East Uttar Pradesh and active over Arunachal Pradesh, Uttarakhand and East Madhya Pradesh during the past 24 hours until 8:30 IST. 3. ZEEL 350 calls were in action today, stock showed us gain from lower level, more buying above 350. Buy TITAN above 360 stocks may show 375-380 in coming days. Buy ITC above 310 stock may show 320/330 in coming days. Below 310 major resistances will be 303. • SELL AMBUJA BELOW….? 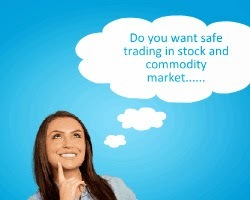 STOCK MAY SHOW 210/200 LEVEL IN COMING DAYS WITH STOP LOSS…? 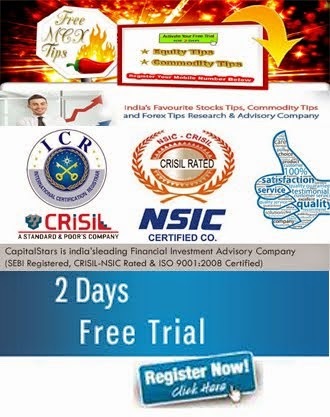 provide 2 days free trial intraday Stock Tips. We are provide 2 days free trial for the traders. We provide to investors fully profitable Calls 1-2 per month.